Disruption is a common topic across Australian businesses and corporations today. Leaders and business owners are talking about innovation and transformation in an accelerating pace. What they are really saying is they are adapting to reality. And that’s old news. We’ve spent some time with one of Australia’s leading transformation CEOs, Karen Lawson, to uncover what businesses need to do to adapt to today’s reality. 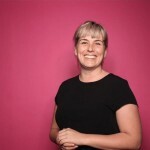 As CEO, Karen has reinvented CareerOne, and made Slingshot become Australia’s number one start-up accelerator. She has worked with brands including Qantas, Lion, HCF and Caltex to help them disrupt themselves before others were able to. This all places her in a good position to share her insights. Cathrine Long, Director of Long & Co speaks with Karen Lawson, one of Australia’s leading transformation CEOs. Photography by Kat Stanley Photography. “When you are number one you spend your time looking down at your number two and three. You can’t always see beyond that. But it’s the guys in the garage you should really worry about”. As CEO, Karen has reinvented CareerOne, and made sure Slingshot became Australia’s number one start-up accelerator. She has worked with brands including Qantas, Woolworths and Westpac to help them disrupt themselves before others were able to. “When you are on your way up, it’s exciting! You are not beholden to preconceived ideas or existing revenue streams. You see things in a new way and you can look for new solutions where established players aren’t considering”. So, how can established players avoid this pitfall? Karen smiles: “Stop thinking of yourself as number one, and start acting more like the guys in the garage”. Disruption isn’t fast, and it’s going on all the time. The trick is how you adjust to your new reality. Henry Ford didn’t invent the automobile, but he did build cars at scale. Social media was around in the 1990s, but it was Facebook who built an ad product that challenged online ad incumbent AdWords. Not all retail will die, but some already have (Toys R Us). The disruption or transformation you are thinking about for your business right now is likely you adapting to your new reality. You are reacting to what is happening around you. And that’s a good thing! Yes, it’s Hard. Now What? Karen elaborates: “You may have incumbent relationships or existing revenue streams. Exploring new solutions or forgoing existing income can be really challenging”. Of course, the alternative is to go out of business. Karen reflects on her time as CareerOne CEO, when she realised they needed a new business model and a new way of generating revenue. CareerOne had traditionally been a jobs board and they needed to connect employers with talent in a more dynamic way. They also needed to adapt new ways of generating revenue by introducing online advertising. Not everyone believed CareerOne could change. “I remember a phone call to a new potential business partner, it was Tim Fung at Airtasker”, she explains. “They thought as a corporate we would waste their time. I had to persuade them I was a different type of leader. As a start-up, we moved quickly to get the right solution to transform from a static site to a marketplace for workers”. The payoff was in the millions, the alternative certain death. As one of Australia’s leading transformation CEOs, Karen Lawson, know a thing or two about disruption. Change starts when there is a problem to be solved. One rainy afternoon two New Yorkers tried to hail a taxi and muttered to each other: “Wouldn’t it be better to just be able to order a car on your phone?” UBER was born. Apple launched the iPhone, which paved the way for Instagram to solve the issue of people wanting to share their best photos with their friends on the internet. Karen reflects it is her working-class upbringing that has programmed her to stay close to her customers. “My Dad was a hairdresser, so I would help him in the salon. I realised from listening to our customers we would be able to offer them what they needed before they would even ask”. What problem do your customers have today? Are you in banking and struggling to defend your fees because you’ve got a loss leading retail network? You better consider an online-only alternative before your competitors steal your market share. Are you an accounting practice struggling to grow in a congested market place? Hello social media – yes, you can add value to and grow your customers on the internet. Do you have a skill that doesn’t require a team to sit under one roof? You’ve just trimmed your overheads and expanded your talent pool. Karen believes that through disruption, you can create new value for your customers. Disruption isn’t just for green juice drinking or meditation-prone hipsters. Disruption is for business leaders who are looking to remain relevant. You don’t need a think-tank, ball-pit or big budget. You just need common sense. People hold on to the past. They already did the hard work and found their winning formula. They don’t want things to change. Why would they? If you don’t like technology and you believe social media is a fad, chances are it will wipe you out. Because if you are not playing where your customers are, you are leaving that space for the guys in the garage to dominate what used to be your marketplace. It gets worse. What is working today isn’t working tomorrow. So, all this time spent building your audience and investing in your tech stack is reacting to what is happening around you now. That’s not what it’s going to save you in the future. What’s ahead for all of us is augmented reality and bots that are better at assisting customers than we are. This doesn’t mean it’s wise to leap frog today, to become an early adopter tomorrow. Remember, disruption isn’t fast and it’s going on all the time. Whatever incremental changes you can make today to remain relevant and avoid being disrupted – do that. 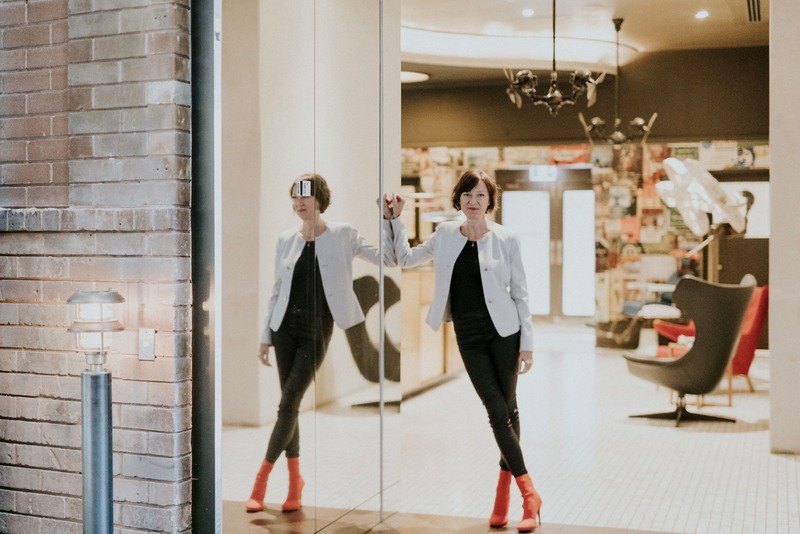 Watch the video below to hear why Karen thinks that sometimes you need to break things before your business can transform. Long & Co is a small brand and digital alternative to a big agency.